As Texans prepare to cast the final votes in the 2018 general election, they will be doing so in the wake of a deluge of outside spending that is unusual for the state, driven by a hotly contested U.S. Senate race and expanded congressional battlefield. Those contests quickly emerged over the past few months as the main attractions for super PACs that can raise and spend unlimited amounts of money as long as they do not coordinate with campaigns. The final numbers are still coming in, but when all is said and done, it is likely such groups will have combined to pour well over $40 million into the state during the general election. In recent history, the race for the 23rd Congressional District was Texas' only competitive U.S. House contest in the fall, and it drew the lion's share of the outside spending. But that changed dramatically this cycle, with national Democrats targeting a total of eight GOP-held or open House seats, most intensely going after three districts Hillary Clinton carried in 2016: the 23rd, the 7th and the 32nd. Those last two — situated in the pricey Houston and Dallas media markets, respectively — ended up drawing over $13 million each in outside spending, while the 23rd came in at a little over half that. 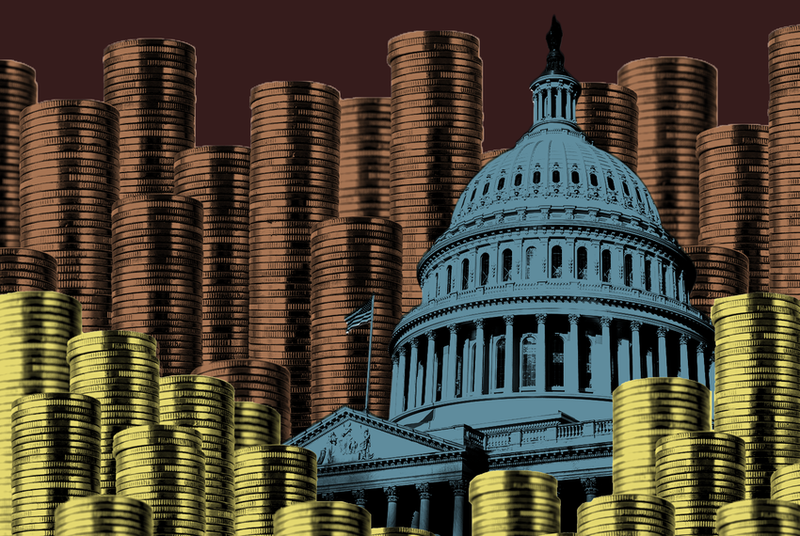 The biggest outside spender across those three races appears to have been the Congressional Leadership Fund, the main super PAC assisting House Republicans' efforts to save their majority. The group ended up putting over $6.5 million on TV in Texas, in addition to opening field offices in the trio of districts. “CLF recognized early on that this would be a historically challenging election cycle, and we invested early and aggressively in races across the country, including Texas, to execute turnout operations and to define and disqualify Democrats, and I think we’re seeing that pay off," Congressional Leadership Fund spokeswoman Courtney Alexander said. While the outside spending landscape in House races was dominated by traditional players like each party’s campaign committee, it also saw a few new big spenders. For example, America First Action, a super PAC started under President Donald Trump to push his agenda and support political allies, unloaded over $3 million to help U.S. Rep. Pete Sessions, R-Dallas, as he battled Democratic challenger Colin Allred. From the other end of the race, Sessions was hit with over $750,000 from Patients for Affordable Drugs Action, a new nonpartisan group. The Senate race also became a magnet for outside spending as it became clear U.S. Sen. Ted Cruz was in a real race against his Democratic challenger, El Paso U.S. Rep. Beto O'Rourke. Cruz was chiefly assisted by Texans Are, a super PAC that quietly formed before the contest was viewed as competitive and went on to spend almost $5 million, mostly against O'Rourke, under the leadership of longtime Cruz strategist Jason Johnson. There was also a seven-figure investment in Cruz by the Club for Growth, the national anti-tax group that played a crucial role in getting Cruz to the Senate in the first place. Its arrival in the race in early September came as O'Rourke was seeing his best poll numbers, and the group believes it knocked him down a peg with an ad campaign that sought to undercut his man-of-the-people image by focusing on his time on the El Paso City Council. "What we saw was essentially a race that was gonna go from pretty assured victory for Cruz into a competitive race around Labor Day because O’Rourke had raised a ton of money and was setting forth a narrative that let him be the voice of the outsiders against Washington," Club for Growth's president, David McIntosh, said in a statement. "I think it’s fair to say that because of what we did ... [it] shifted the trend line and basically stopped O’Rourke’s rise in the polls and it’s been a slugfest between him and Cruz since then." O'Rourke, who vastly outraised and outspent Cruz, also received super PAC support, though not nearly as much as Cruz did and the bulk of it came late in the campaign season. For most of the race, the main outside group benefitting O'Rourke was Fire Ted Cruz PAC, which proved adept at generating media attention — it released a series of anti-Cruz online ads directed by Austin filmmaker Richard Linklater — but never raised enough money to go on TV, at least in an impactful way. Significant outside money came in for O'Rourke in the last two weeks, when an anti-Cruz super PAC called Texas Forever was formed and immediately went on TV in Dallas with a $1.2 million buy targeting Cruz over health care. In the final few days of the contest, Texas Forever added another $1 million to the buy and expanded it to Houston and San Antonio. The super PACs benefitting O'Rourke undoubtedly created tension for the candidate, who did not accept PAC money in his campaign and railed against big money in politics on the stump. After Texas Forever made its debut, an O'Rourke spokesman reiterated that the campaign is "not interested in the help of any Super PACs or special interests and don't want their involvement in this race." Outside spending also made life a bit awkward for Cruz. Toward the end, a Republican super PAC called ESAFund aired a TV ad in Houston that highlighted O'Rourke's 1998 drunk-driving arrest — something Cruz steered clear of in his own campaign. "I have consistently declined to address that issue," Cruz told reporters Monday when asked about the ad. "That has not been an issue I have campaigned on. My focus has been and will remain on issues, on substance, on policy." While super PAC spending has been traditionally directed toward TV ads, a number of groups active in Texas this cycle that did more than that — specifically with field efforts. The Congressional Leadership Fund opened field offices in the 7th and 23rd districts last year and the 32nd this year, and groups like the Progressive Turnout Project and the Texas Organizing Project ran phone-banking and block-walking completely independent of the campaigns they were working to help. The Progressive Turnout Project, a new national group this cycle, focused on the 7th District — and the U.S. Senate race within the district — while the Texas Organizing Project spread its resources across a number of key contests from the Cruz-O'Rourke's matchup down to local judicial elections. The Texas Organizing Project's work embodies a longtime ambition of Texas Democrats. "For us, one of our priorities is growing the electorate," said Michelle Tremillo, the project's executive director. "We want to see the voters of this state reflective of the majority of us that live here, so we specifically target people of color, people in black and brown communities, women, young people, to grow the number of people voting."